Available March 31, 2019 with approximately 100 hours! Why wait over a year, boat is like new and HUGE DISCOUNT! $569,000 BOAT SHOW SEASON SPECIAL!!!! Loaded, Loaded, Loaded the pics don’t do this one of a kind Contender justice!!! 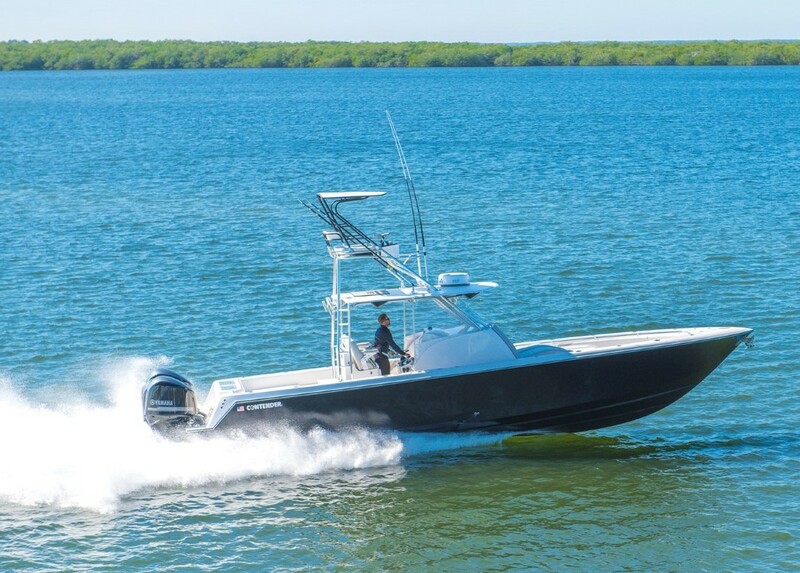 Low hours on the entire rig with 5yrs of Yamaha Engine warranty. I encourage anyone looking to buy a high quality performance center console to take a close look at this BEAST! The fit and finish, ride, and performance for the money is practically impossible to beat. REDUCED TO SELL QUICKLY $549,000!!! Contender 39STs are over 1 yr wait time! Loaded, Loaded, Loaded the pics don’t do this fishing machine justice! 180 hours on the entire rig with Engine warranty till August 2022! I encourage anyone looking to buy a high quality performance center console to take a close look at this BEAST! The fit and finish, ride, and performance for the money is practically impossible to beat. Owner ordered a new 39ST so this one must go. You won't find one with more custom options and more loaded than this one! From custom electric LeBroc helm seats, to the electric sunroof second station access, the attention to detail on this contender is second to none. 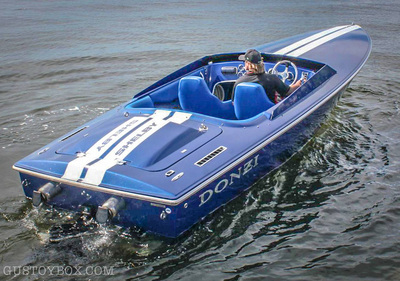 There was NO budget when this boat was being built. Only 110 hours. 2014 Contender 35ST powered by Twin Yamaha F350's with low hours. Priced at $219,000. Over $320k replacement cost, all reasonable offer and partial trades considered. Call Gus 305-394-1374. 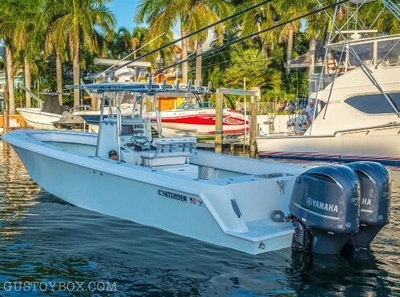 The best deal on a LIKE NEW 35ST Contender! 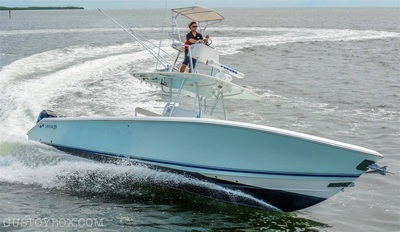 The boat was shown at the Fort Lauderdale Boat Show and has been used for sea trials and as a loaner for one of our customers who was waiting on his NEW Contender to be completed. Boat will be sold with less than 50 hours. 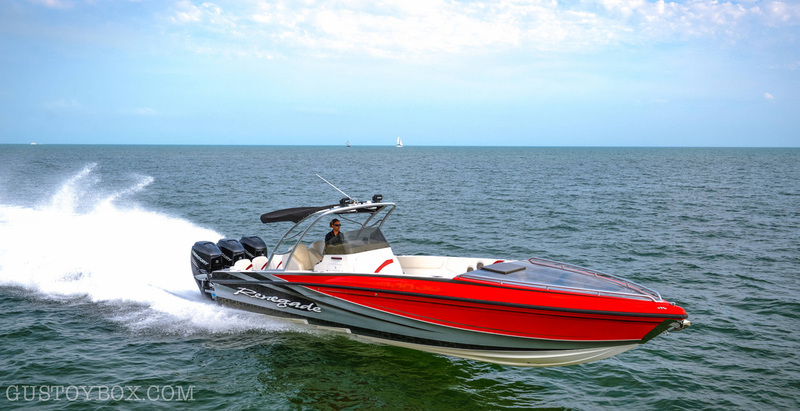 2016 Contender 25 Bay powered by a Yamaha 300hp FOURSTROKE with low hours. This boat was built with attention to detail. Loaded and absolutely gorgeous color combos that are easy to maintain. Don’t miss out on this deal $119,900.00 buys the complete turn key package! 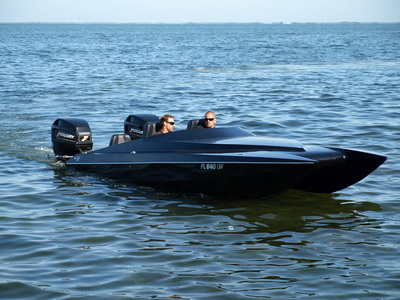 When you buy a boat from GTB BOAT SALES you become part of our GTB FAMILY. 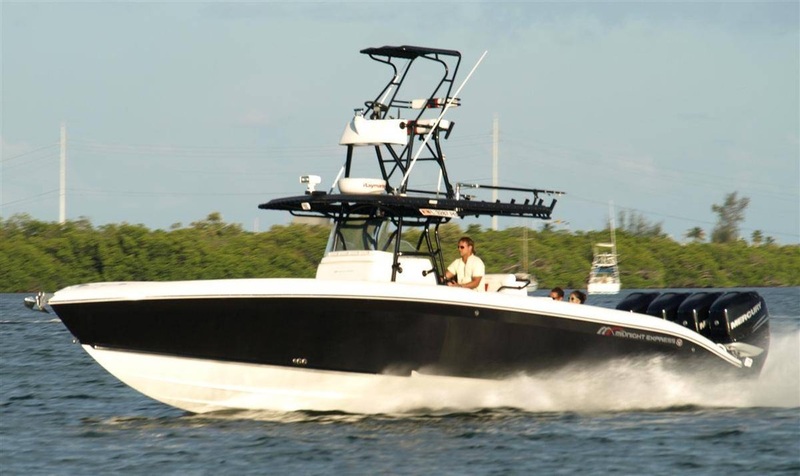 Here’s a video showing our GTB BOATING LIFESTYLE always surrounded by great friends and family. Fishing, Diving, and Island hopping but always ending the day together at a dinner table for some fresh food and spirits. Check out the article about Gus Toy Box and the 2017 39F Contender featured on pages 40-42 in the January 2017 Sport Fishing Magazine! GTB EDITION 39FA #001 “BACK IN BLACK” powered by triple F350hp Yamahas. 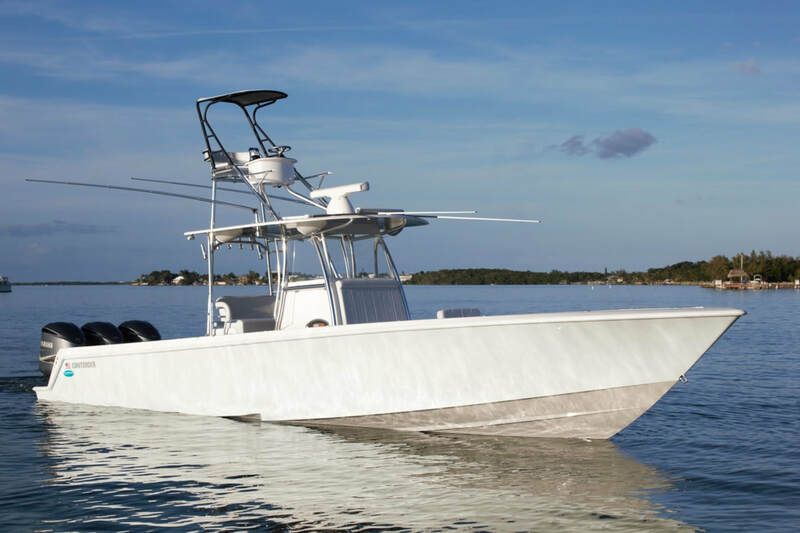 Boat was just featured in “SPORT FISHING” Magazine January 2017. MSRP $652,192.00 Save over $100k DEMO DISCOUNT $549,000!!! Loaded, Loaded, Loaded the pics don’t do this fishing machine justice!!! 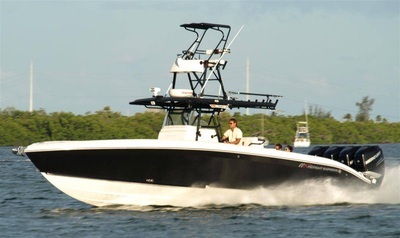 50 hours on the entire rig with FULL 6 years YAMAHA Engine warranty. I encourage anyone looking to buy a high quality performance center console to take a close look at this BEAST! The fit and finish, ride, and performance for the money is practically impossible to beat. 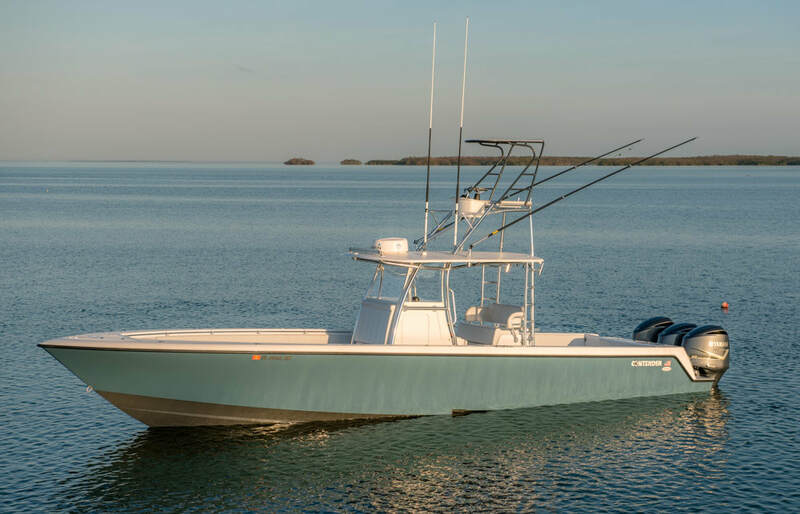 The new 39 Fisharound carries forward Contender’s reputation for building serious offshore fishing machines, but adds the comfort of a well-appointed center cabin with a queen berth, galley and enclosed head with stand-up shower. 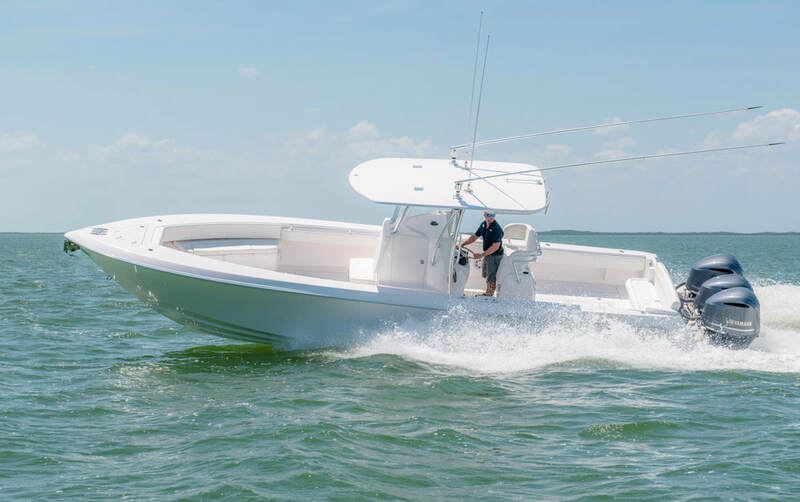 The 39 Fisharound also features the performance of Contender’s smooth-riding twin-step hull. 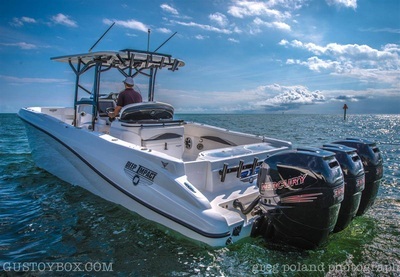 Power it with triple Yamaha F350 outboards for speeds in the 70 mph range. 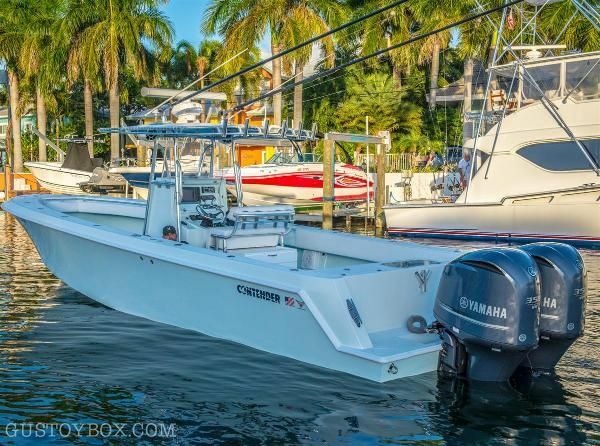 The new 39 Fisharound is undoubtedly a serious tournament boat the whole family will love. 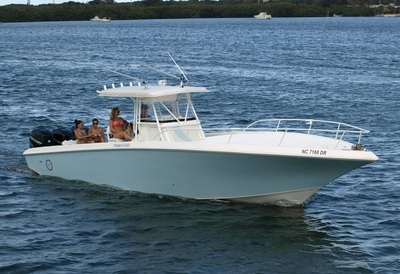 A visual experience of the HD crew and friends traveling through the Bahamas for two weeks on the new 39 ST Contender. The trip was insanely awesome and one that will never be forgotten thanks to the Frins family! 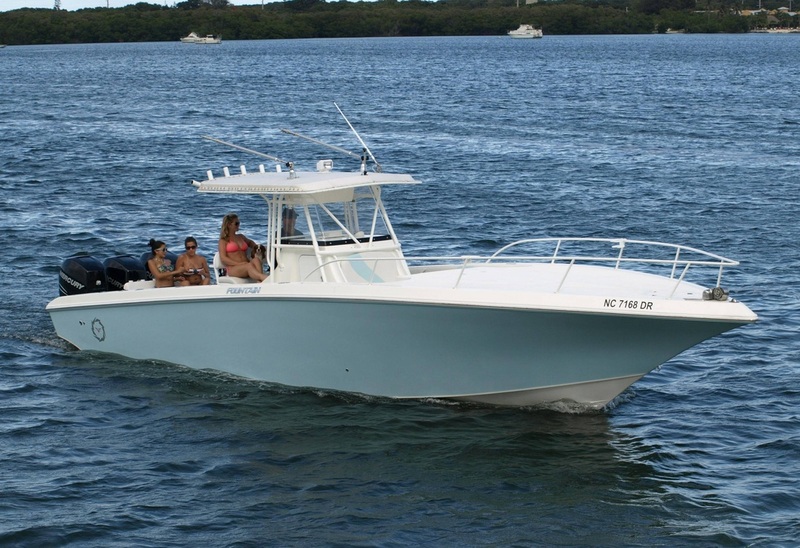 If you’re interested in pricing your Contender or taking a sea trial, please call us direct 305-394-1374. 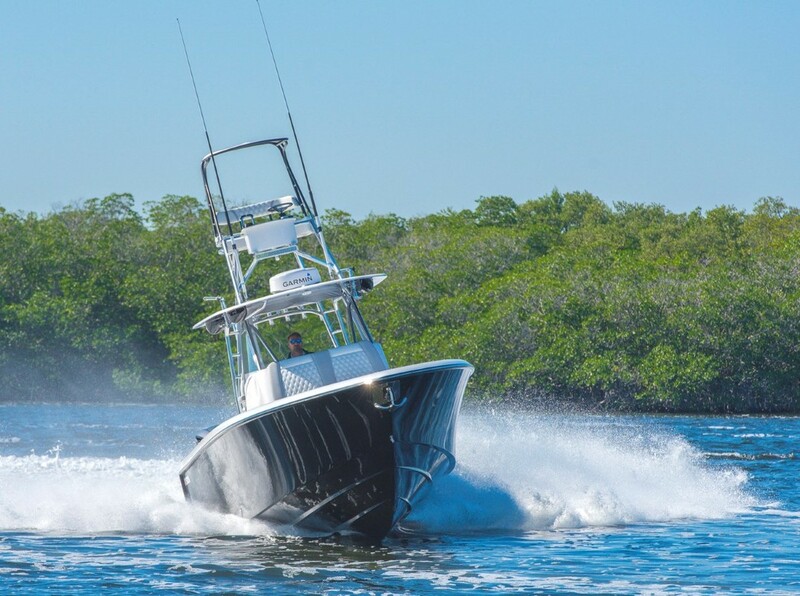 We will provide a comprehensive and professional service and we will promote your boat to a worldwide audience. We will market your boat to the largest spread of international sites and buyers. 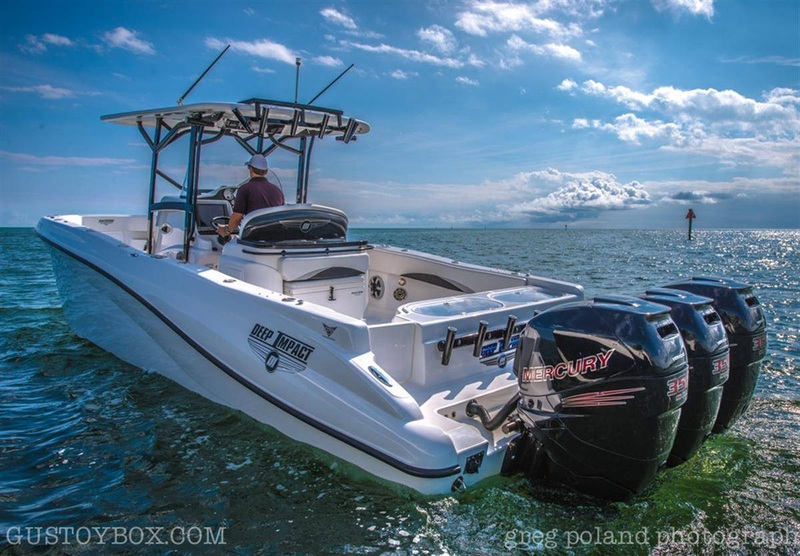 Place your boat for sale with Gus' Toy Box and lean on our experience! 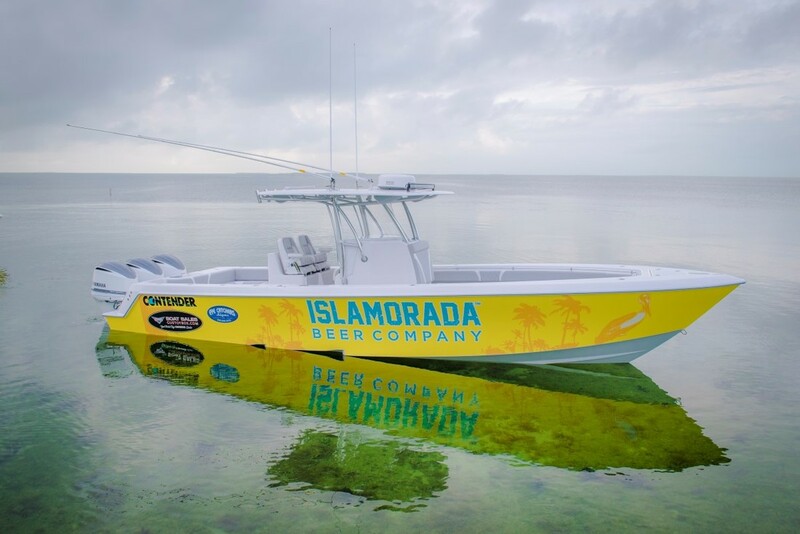 GTB Boat Sales participated as the official boat sponsor of Islamorada Beer Company Sandbar clean up. And also in Key West for their calendar girl signing and the signature blend "NO TAN LINES" photo shoot By Islamorada Beer Company. 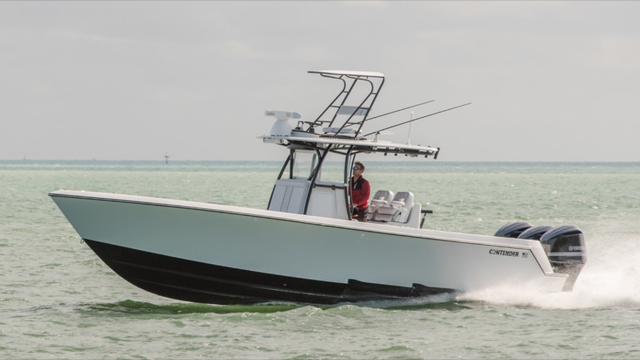 The New flagship GTB Edition 39ST powered by triple Yamaha F350s is the ultimate performance fishing center console.